"NEW PRICE" Owner has decided to relocate & looking for offers! Location! Location!Location! 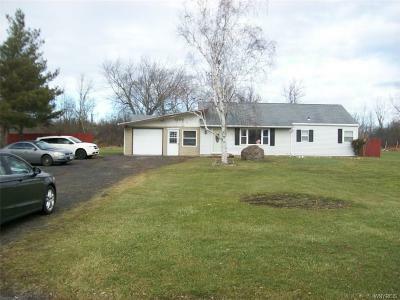 4 bedroom 1 bath ranch, right off Military Rd. is within walking distance to Rite-aid, Tops and Northwest Bank. 2 yr old roof (warranty), new waterlines, tank less hot water, Circuits, Newer carpets, some new windows, New kitchen cabinets and counters, newer shower surround. All Appliances(approx 5yrs old) and 3 wall mounted TVs INCLUDED. Awesome lot. Niagara Wheatfield Schools. Make your appointment today! Directions To Property: Military Rd. To Grauer Turn Right Home Is 1st House On The Left. Sign In Place.